Looking for fun games for your bridal shower? Today, we have a treat for you ! We are sharing some of the best bridal shower games ever! create a list of the titles of all your favorite wedding movies; Type up the list on Microsoft word and print it out, cut the titles into strips, then place the strips into a bag or hat . Divide your girls into two teams. Each team will choose members of their team to act out the title. Each team has minutes to act out their title to their team, if their team doesn’t get it then the opposing team has on try to guess the title. The group that solves the most titles , wins. Divide your girls into three teams. Each team will choose one person to be the mannequin. When you say go, each team should proceed to adorn their teammate in toilet paper. 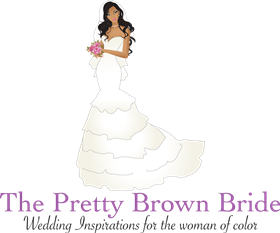 The goal is to create a fashion forward wedding dress. The ladies ll have 4 minutes to create a work of art. The team with the best design wins! Create a list of all famous couples. Type up the list but leave their better half off of the list. Don’t say the bride’s name! Do a guest count. Cut string or ribbon for each guest. Place 1 clothes pin on each string. As your guests arrive , hand them all a clothes pin on a string. Inform the guests that they are forbidden to call the bride by her name or to mention her name during the entire shower. If a guest forgets and says her name, they lose their pin. At the end of the shower, the guests with the most pins, wins! This is a fun and memorable game. Hand out blank pieces of card stock paper. Allow each guests to write what they believe to be a recipe for a good marriage. Place all the cards in a hat or bag and allow the bride to read each card out loud and try to guess who wrote it. This is an excellent icebreaker. Each guests will take turns giving three statements to the group. Two of the statements will be true and one of the statements will be a lie. The person who guesses the most lies, wins!